Due to their unique physicochemical properties, graphene-based nanoparticles (GPNs) constitute one of the most promising types of nanomaterials used in biomedical research. GPNs have been used as polymeric conduits for nerve regeneration and carriers for targeted drug delivery and in the treatment of cancer via photothermal therapy. Moreover, they have been used as tracers to study the distribution of bioactive compounds used in healthcare. Due to their extensive use, GPN released into the environment would probably pose a threat to living organisms and ultimately to human health. Their accumulation in the aquatic environment creates problems to aquatic habitats as well as to food chains. Until now the potential toxic effects of GPN are not properly understood. Despite agglomeration and long persistence in the environment, GPNs are able to cross the cellular barriers successfully, entered into the cells, and are able to interact with almost all the cellular sites including the plasma membrane, cytoplasmic organelles, and nucleus. Their interaction with DNA creates more potential threats to both the genome and epigenome. 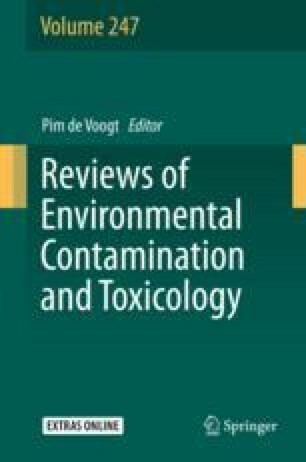 In this brief review, we focused on fish, mainly zebrafish (Danio rerio), as a potential target animal of GPN toxicity in the aquatic ecosystem. The online version of this chapter ( https://doi.org/10.1007/398_2018_15) contains supplementary material, which is available to authorized users. This research was financially supported by National Institutes of Health NIMHD Grant No. G12MD007581, through the RCMI Center for Environmental Health, and by National Science Foundation #HRD-1547754 through the CREST Center for Nanotoxicity Studies at Jackson State University.